Welcome our new Champagne Bottle with Glasses designed mirrors. 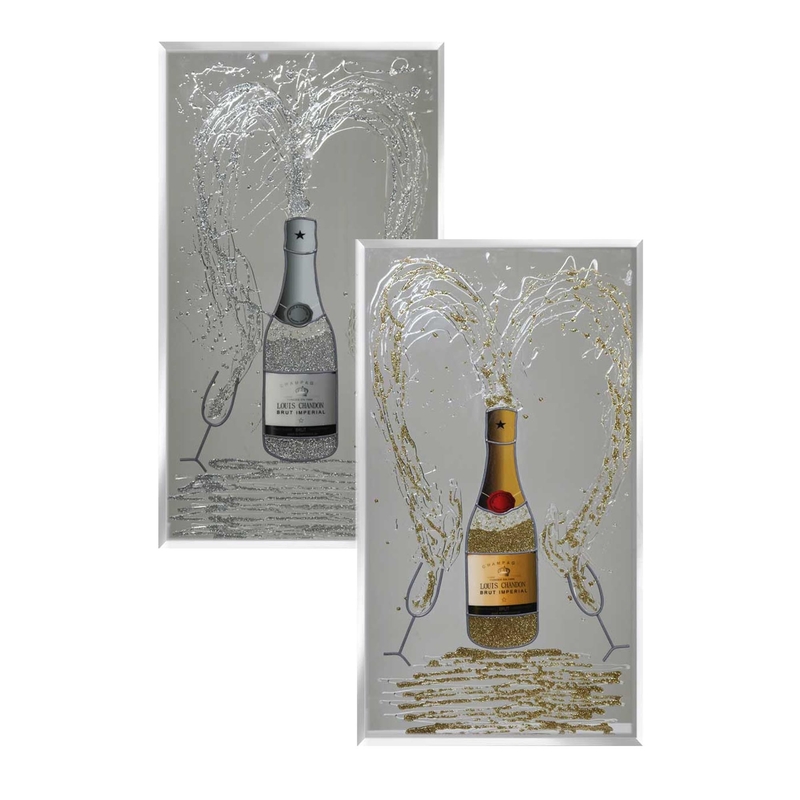 Coming in gold and silver this is the perfect piece to give your home that modern and glamorous look. These items were designed and hand made in the UK, coming with attached brackets and custom sizes are available this piece really will not disappoint. Custom sizes available. For further information on pricing, please contact the office on 01642 455589.